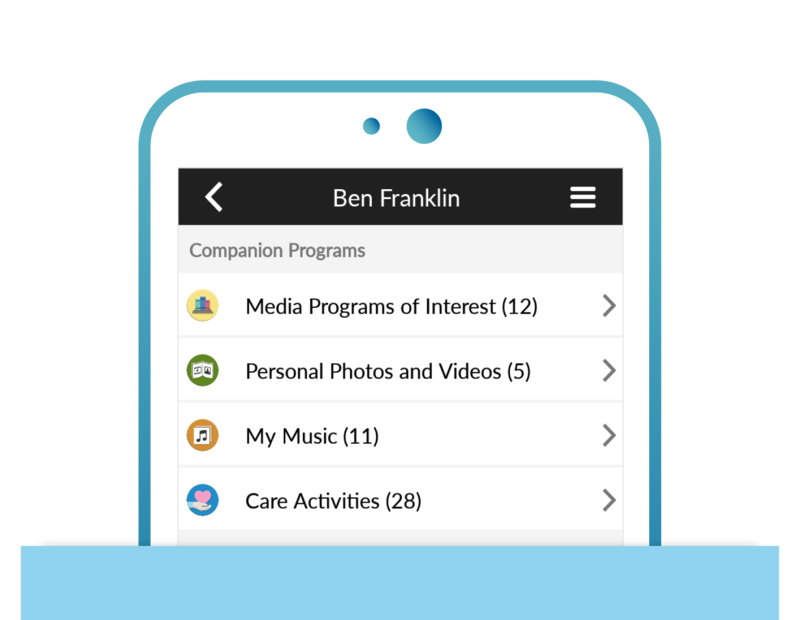 Family Connect lets you see what's on your mom's Companion. 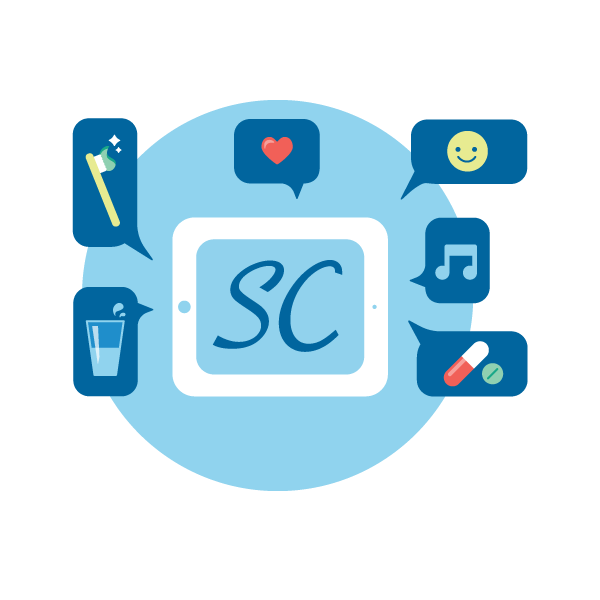 See all of your Mom’s Companion therapies in the “Companion Programs” section. 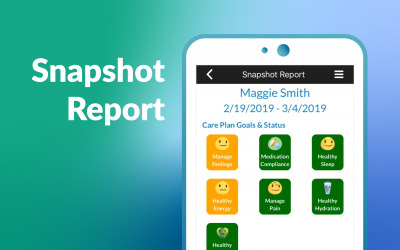 These tools let you review and manage her therapies. Watch: Add a Trusted Voice™️. 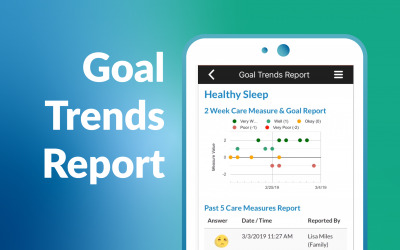 Add a personal touch to your loved one’s therapies. 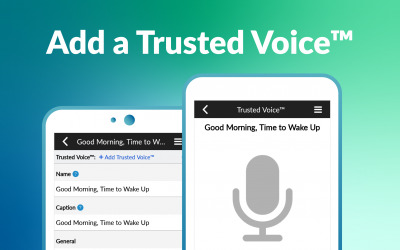 Create a Trusted Voice™️ Message.